Frances Thorne learned at an early age to rely on herself. Yet, losing her job and her home and watching her father carted off to debtor’s prison all in one day, is too much for her to bear alone. When a generous offer of assistance falls into her lap, she ignores her better instincts and decides to take a chance. The last thing she needs is for the infuriating Lord Lucan Montwood to stand in her way. The end of the bachelors’ wager is near, and Lucan Montwood can taste victory. Yet, on the precipice of finally gaining freedom from his debts, he’s incensed to learn that the beautiful Frances Thorne has fallen into an insidious trap in the guise of a new position. Lucan can’t deny the way her lips call to him and knows he must risk his own future to ensure her safety. Convincing her to trust him is the hard part and resisting her is next to impossible. But falling in love with her? That’s far too simple. Excerpt: “Miss Thorne.” Lucan Montwood flashed a smile, revealing a dimple on one side of his mouth. She imagined a serpent must look the same before giving a taste of his venom. “My lord,” she said through gritted teeth. After introducing Kaye, who then turned to help Mrs. Hunter with the tea, Frances expected him to leave at once. Yet he did not. Lucan doffed his hat and tucked it beneath his arm. Not a strand of his dark hair was out of place. And beneath a thick brow, his amber gaze held a peculiar light, there in the shadows. The color of his eyes had always fascinated her. In her youth, before her mother’s death and before his family had betrayed her father, she would visit her father at Camdonbury Place. Yet all the while, she’d hoped to cross paths with Lucan. Even though they were only a year apart in age, he’d always seemed so worldly to her. And with those eyes, he’d looked at her as if he knew worldly things. The types of things that her mother had warned her against. Her infatuation had been a girlish one, born of naiveté. Soon enough, she’d learned that men like Lucan were born deceivers. And Frances had had her fill of deception. He stared at her for a moment—long enough for her to adjust her spectacles—as a slow, daring grin revealed that dimple of his once more. Truly, a man so diabolical should not have such an appealing dimple. She loathed that dimple and the man who wore it. 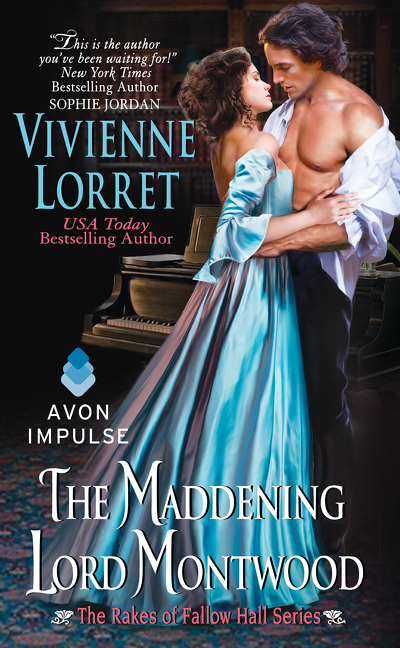 USA Today bestselling author VIVIENNE LORRET loves romance novels, her pink laptop, her husband, and her two sons (not necessarily in that order ... but there are days). 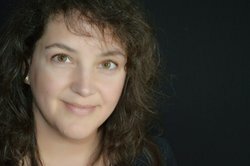 Transforming copious amounts of tea into words, she is proud to be an Avon Impulse author of works including: “Tempting Mr. Weatherstone”, The Wallflower Wedding Series, and the Rakes of Fallow Hall series.